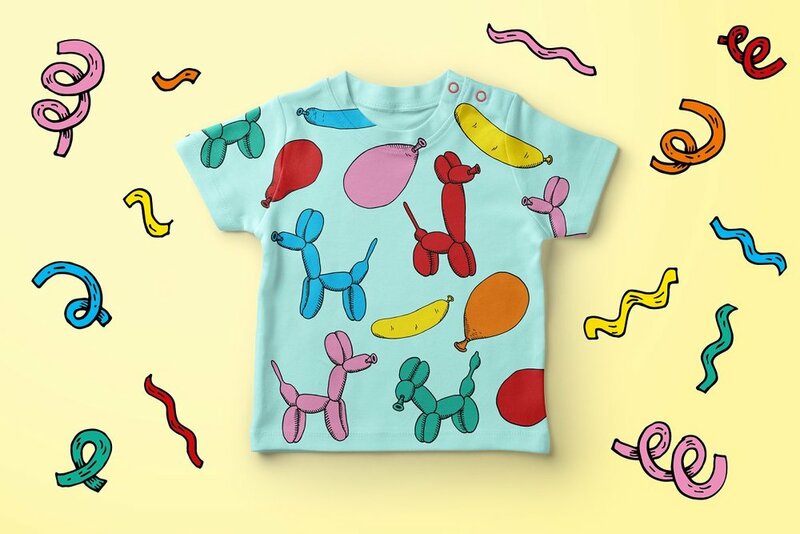 I’ve adapted my balloon illustrations into digital artwork that you can use to make your own fun and colourful stationery, products and celebration designs! The assets are perfect for creating everything you need for a party or celebration such as greetings cards, gift wrap and invitations but also vibrant fabric designs for clothing and merchandise, as well as soft furnishings and wall art! Included in the pack are ready-made designs, seamless vector patterns and type lock-ups. Take a look here, I’d love to know what you think!